transcribed by Crystal Wendt & Michelle Harder. *Edward Achenbach lived in South Dakota when history was being made.  He recalled the battle of "Little Big Horn". He had mined gold in the Black Hills. When living at Pierre, South Dakota, he had supplied beef to the government troops. From there he had gone to be a captain on a government boat working on the Mississippi. 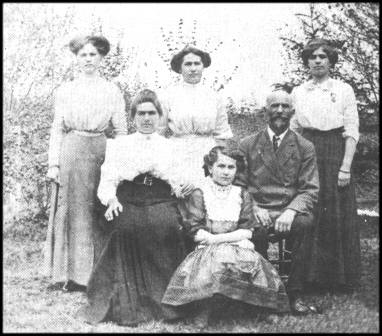 In 1885 he married and they lived in several towns where he was a salesman for a mercantile company. In 1900 they came to Columbia from Alma, purchasing a farm four miles west of Columbia. Being a scientific farming he produced outstanding vegetable crops. His pumpkins and melons were exceptional in size and of good taste. Dad and Mother Schlander got in the spirit of showing off big pumpkins. 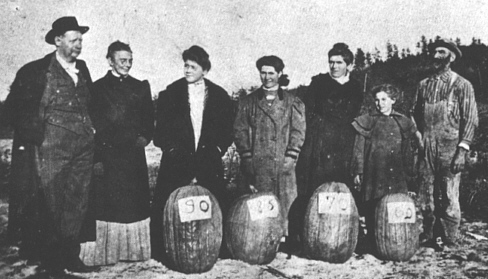 The teacher, Mary Norton, is with the 90 pound size; Hazel Achenbach with the 85 pounder; Mrs. Achenbach is with the 70, while her daughter, Vivian, stands next to her father, Ed Achenbach, with the 60 pound one. The girls: Laura, Mae, Hazel and Vivian, all settled in Minneapolis and St. Paul. Mr. and Mrs. Achenbach purchased a home in Neillsville and retired in 1935 where both passed on. Vivian Achenbach is seated with her parents, May, Hazel and Laura are standing. During the sawmill days the *Eagles and the *Donahues of Neillsville built a home two and a half miles north of Columbia. When the mill closed they returned to Neillsville. *Mr. and Mrs. Joe Horak of Chicago bought the Eagle property in 1900. They were born in Czechoslovakia and came to the states in 1891 to Chicago. Of their seven children, Mike and Frank were twins. Being the first in the Columbia area many trekked out to see them. In his youth Mike became an accordian player, providing music for many of the dances. Of the other children, Joe took over the farm after the passing of his parents. Then he sold to Leo Sisko and went to Illinois. None married Columbia folks and their homes were scattered throughout the U.S.A.. This included Mary, Josie, Emil and Emma. *Charles Tycak had been a butcher in Chicago. In 1900 he and Mrs. Tykac started a farm near the train spur in Trow, five miles southwest of Columbia. After a few years they returned to Chicago. There were no children. *Mr. and Mrs. Gust Schuman of Huntly, Illinois bought the Tykac farm improving and clearing the acreage. In a few years they returned to Illinois. There were several children who attended the Columbia school.